Professional use in acute and chronic pain! Constant pain, such as those caused by osteoarthritis, affect the quality of life of your patients. At Luxxamed, we are dedicated to cybernetic pain therapy, which starts directly at the cells. Our innovative devices determine the metabolic state of the tissue before treatment and then decide automatically which therapy parameters should be used. The treatment duration is on average 30 minutes. 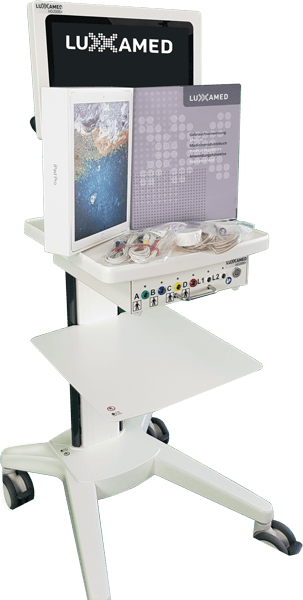 During this time, there is a constant adjustment of the parameters of the treatment on the device side, which makes the therapy with the Luxxamed so individual and effective. In your practice, LED light therapy is also used. Here, the cell metabolism of the tissue, by the application of 3 different wavelengths (colors: red-green-blue), additionally stimulated. Especially in combination with manual therapeutic or osteopathic procedures a conceivable positive possibility for the patients in your practice. The balance of the metabolism in the tissue or in the individual cells is restored quickly. As a result, the soothing pain relief is achieved. Luxxamed therapy was first used in high-performance sports and has been confirmed by studies. The devices are approved in the European Union and CE marked products. 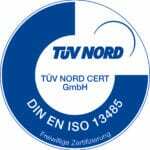 Luxxamed GmbH is certified according to DIN EN ISO 13485 by TÜV Nord. 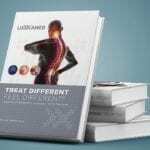 You want to learn more about Luxxamed and our innovative products and how to use it for therapy in your practice, then browse through our pages or contact us easily. For the quality of the device and the safety of your patients! So that the user always finds the right approach! 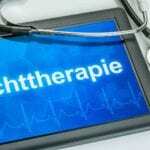 Competence and Commitment – Our team of developers, physicians and therapists, so you are always advised! State-of-the-art developments – Luxxamed LED light therapy researched in cooperation with the Fraunhofer Institute! Discover more of our news! Luxxamed HD2000 + | The PLUS makes the difference! The new HD2000 + offers you benefits where it is needed and professionalism where it is possible! Mobility meets stational stabibility … After more than 18 months of development, we have succeeded in developing a device that is adapted to the needs of doctors, physiotherapists and non-medical practitioners, that is up to date with the latest laws and guidelines and the stationary use of the latest web server technology the practice and mobile use for traveling on home visits or in professional sports offers. Continuing studies have allowed us to further enhance the well-known and successful therapy of the Luxxamed device family, taking LED light therapy to a completely different level. Evidence of biocompatibility and measurements of light wavelengths and intensities helped to determine the correct parameters. Smith, R. B. (2001). Is Microcurrent Stimulation Effective in Pain Management? An Additional Perspective. American Journal of Pain Management, 11 (1), 64–68. The contents of this website are exclusively aimed at persons who operate the medical devices in pursuit of their commercial, independent professional or freelance activity within the meaning of § 14 BGB. (Doctors, physiotherapists, non-medical practitioners) The information is exclusively for this group of people and are not addressed to consumers in the sense of § 13 BGB. Consumers or patients please contact your doctor or therapist. The Luxxamed devices are medical devices in the sense of the guideline MDD 93/42 / EWG. In accordance with Annex II of the Directive, the conformity assessment procedure for CE marking was carried out and the equipment was approved in the field of pain therapy (acute and chronic) and neurological complaints in the European Union. The clinical performance and effect on the indicated indications, was demonstrated in the context of CE marking, acc. Annex X of Directive 93/42 / EEC (MEDDEV 2.7.1 rev. 04) and tested and approved by TÜV Nord.